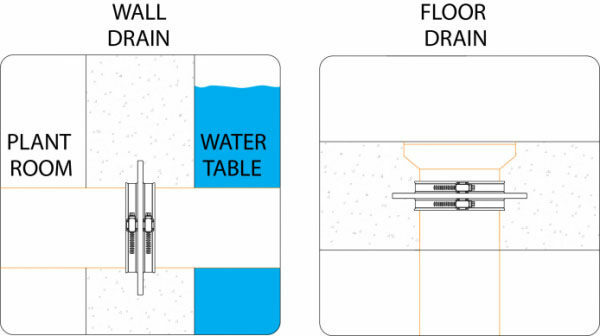 YTMPipe Puddle Flange is designed to prevent leaks around pipelines penetrating poured concrete walls, floors, shafts, tanks, pools, manholes, and structures. The flexible gasket is installed during construction on the outside diameter of the pipe where a water tight seal is required. 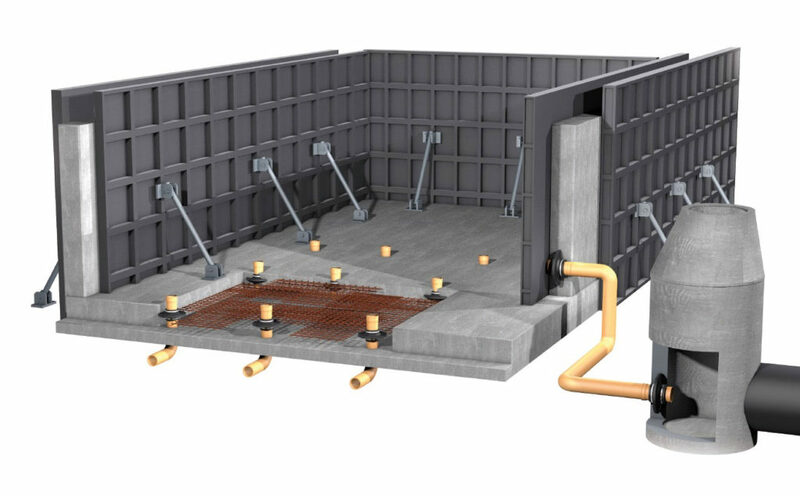 The unique flexible design bonds to concrete and compresses during the pour and curing process providing a leak proof seal against water and gas. Installed on the external pipe surface to act as a barrier, they diffuse gases and hydrocarbons and are suitable for all standard steel, plastic, clay, concrete and cast iron pipes from DN20 to DN3200 mm making them a perfect solution for any application. Thanks to the easy-lock tension bands, installing a YTMPipe puddle flange takes only a few minutes. The puddle flange is mounted by hand on the pipe and secured with the supplied tension bands. A screwdriver or 6mm nut driver can be used to install the tension band on pipes of up to 315 mm in diameter. For larger pipes, use a clamping tool. Our puddle flange installation kits (DN20 to DN315 mm) now come with an easy-Lock function that allows for even faster installation on the pipe.